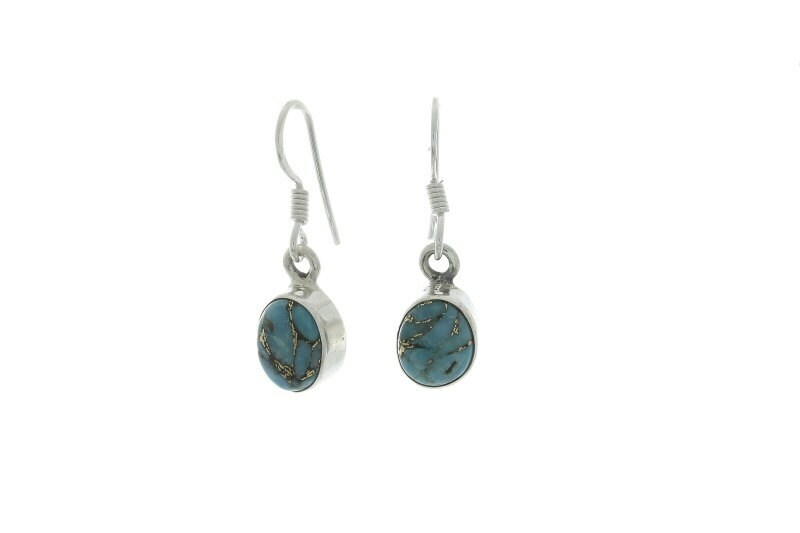 Sterling silver earrings displaying round blue copper turquoise stones. Simple clean design for everyday wear. A stone of energy, protection, and wisdom. Length With Hook: 1 1/8"